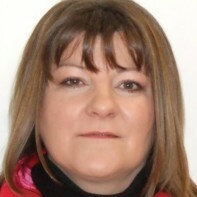 Madeline McAleer is Director of ClareFocus.ie, an interactive events website showcasing Co. Clare. She has been short-listed twice in the Clare FBD Business Awards. McAleer was brought up in Omagh, Co. Tyrone. Madeline is a registered chiropodist. She enjoys travelling, yoga and meditation. hi madeline best of luck.